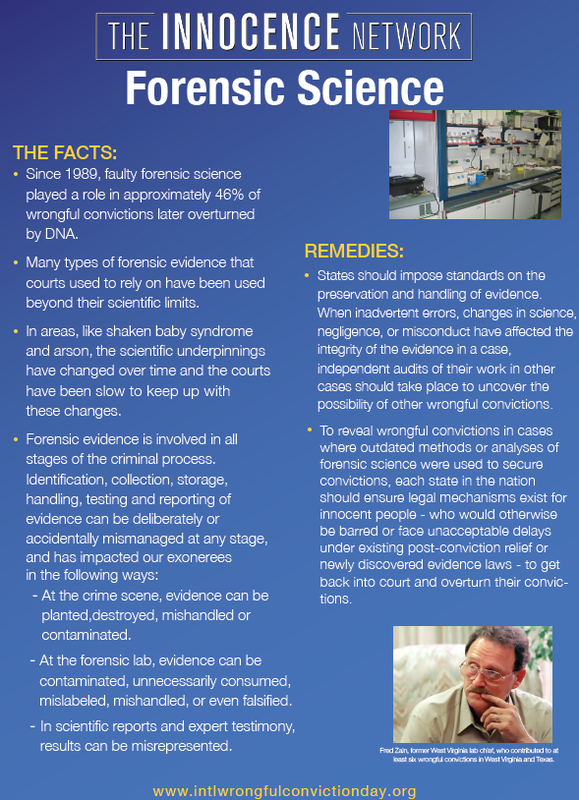 Innocence Project Northwest is a member of an international group of organizations that are fighting to free the innocent. 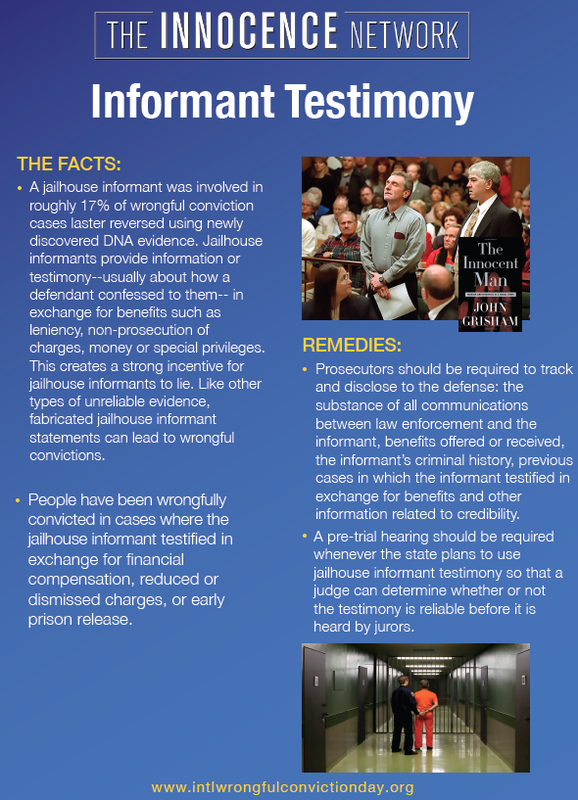 The Innocence Network is an affiliation of 69 organizations from all over the world dedicated to providing pro bono legal and investigative services to individuals seeking to prove innocence of crimes for which they have been convicted, and working to redress the causes of wrongful convictions. Currently, the Innocence Network consists of 56 U.S. based and 13 non-U.S. based organizations. 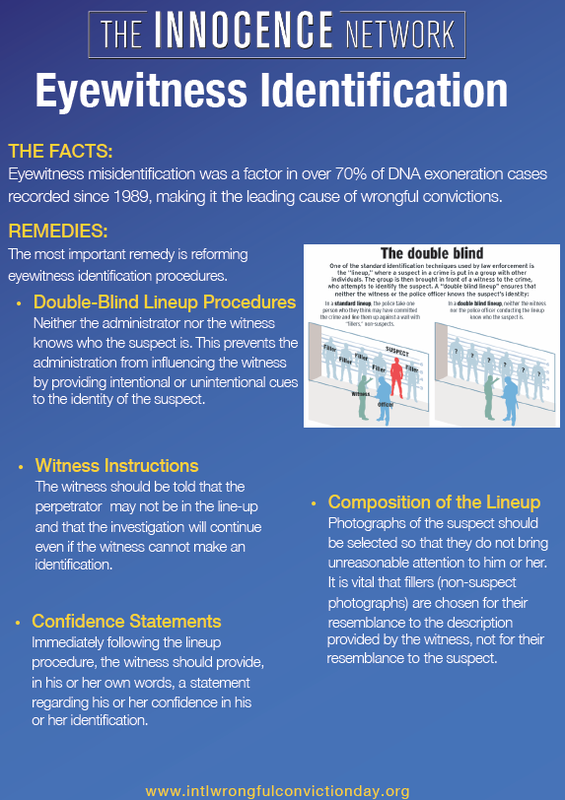 Although we're an independent organization and we don't receive any financial support from the Innocence Network or the Innocence Project in New York, we share best practices and encourage each other in this important work. 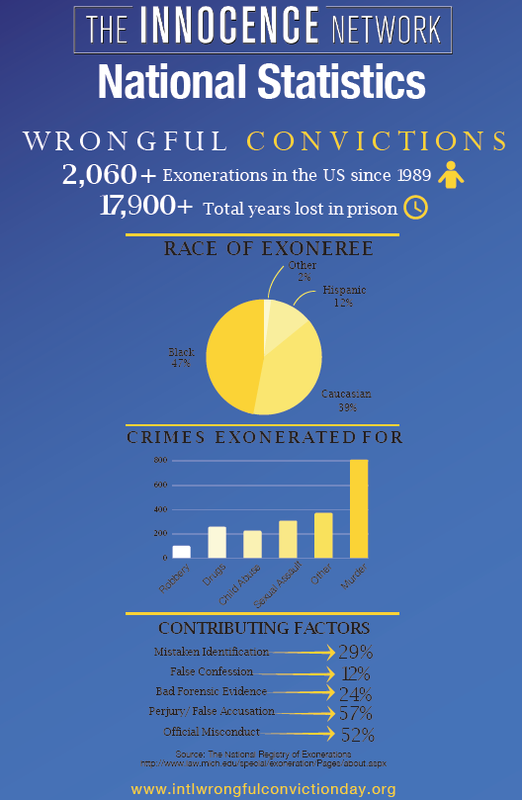 To commemorate 2017 International Wrongful Conviction Day, the Innocence Network prepared the following digital posters, to help us spread awareness of wrongful convictions. 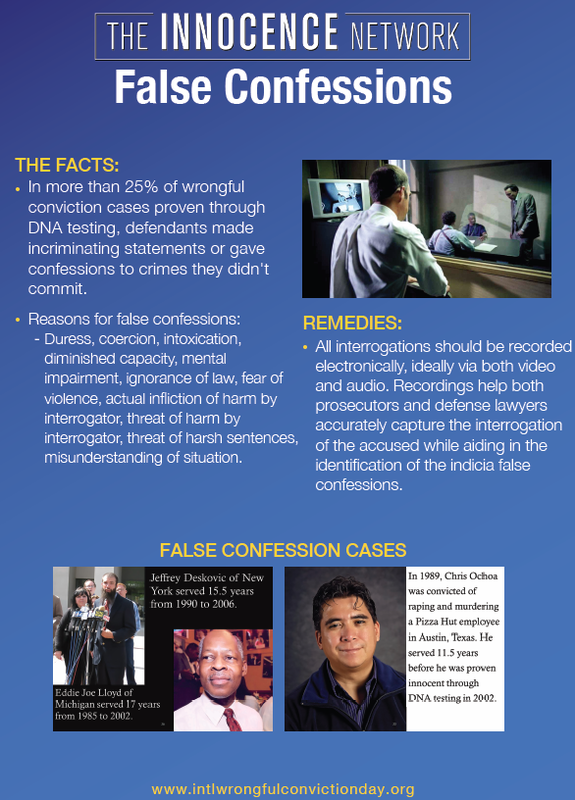 We hope you enjoy learning more about this important issue and join us to free the innocent in Washington State!